One of the most versatile tourniquets available. 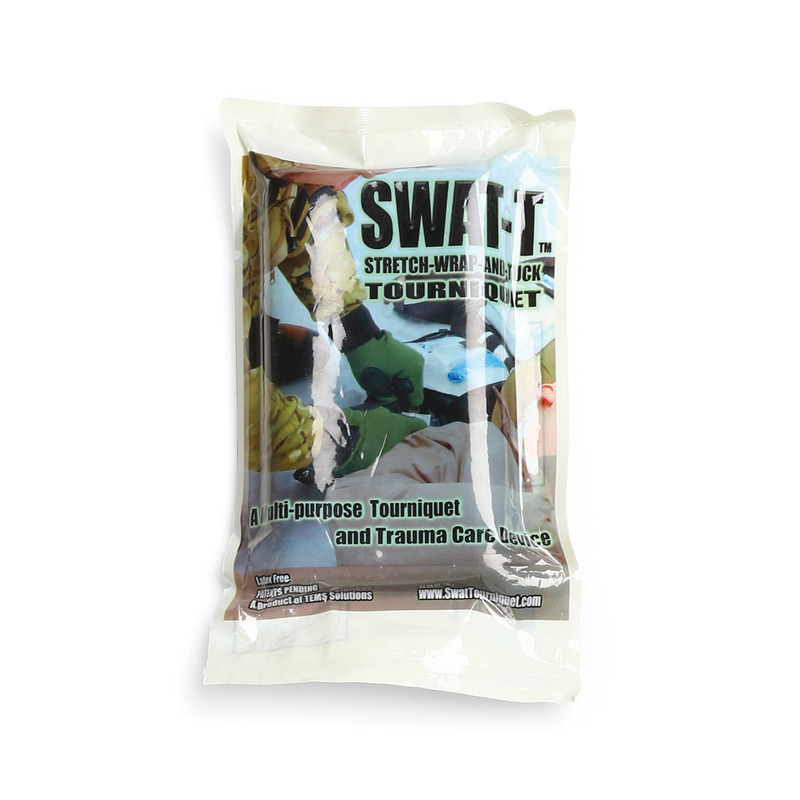 Functions as a pressure bandage for less severe bleeding or an elastic wrap to immobilize an injury. Very easy to use! Developed by a former Operator/Medic with 14 years experience in Operational Medicine, the SWAT-Tourniquet is a unique and multipurpose dressing. Its name provides a description for usage Stretch, Wrap, and Tuck, but also the communities for whom it was developed - military and civilian Special Weapons and Tactics teams. Can and should be used as an elastic bandage.